Yesterday was, as student event staff manager Brenan Erb calls it, “Mega Saturday.” It’s one of maybe two days each year when the sports schedules align and drop a bomb of competition and chaos on Bethel’s campus. Yesterday, volleyball played McPherson College, soccer (both men’s and women’s) played York College and football played Bethany College — all at home. That is a lot of activity on the small campus of Bethel College. Wisely, it was also designated as Family Weekend. There were families traveling from all over to come visit their sons and daughters as the season begins to change to fall. The college planned an outdoor meal on the plaza for lunch, and a tailgating meal for dinner before the football game. Turnout was outstanding and the weather was pristine but Family Weekend of 2015 will be memorable for more than just the sunshine and community. 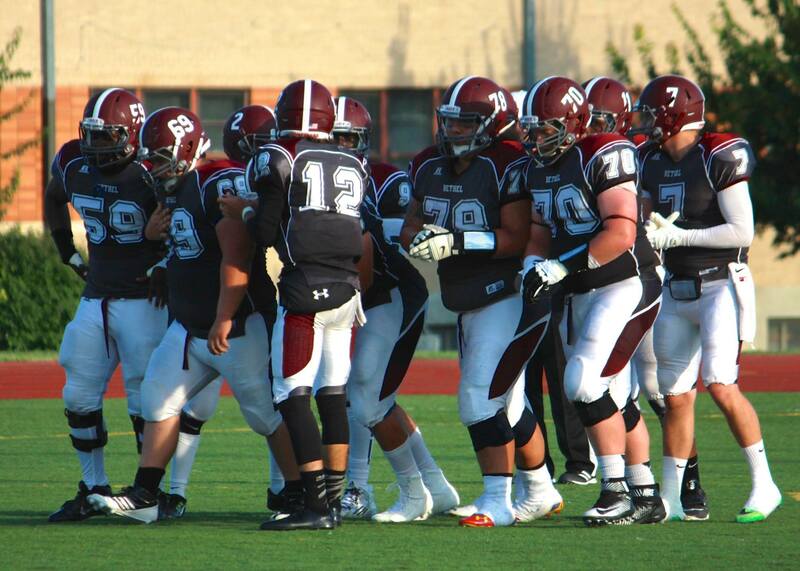 This was Mega Saturday and a chance to reiterate the turnaround of Bethel’s sports programs. Mega Saturday provided four opportunities for Threshers to win in front of large home crowds. If there was any doubt whether Bethel athletics were moving in the right direction, yesterday put those doubts to rest. Volleyball won, women’s soccer won, men’s soccer won and football won. What has been at times the exception is quickly becoming the norm in North Newton. Bethel sports are winning and the effect on campus is truly astounding. Support from families, fellow students, faculty and staff creates a community of support and joy in each other’s successes that is like no other. It is important to mention that the Bethel cheer squad has grown in size and talent again this year. Their halftime performance was a glimpse into the future of what has and will become a cornerstone of Bethel athletics. 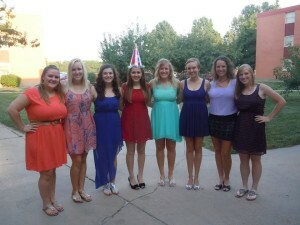 There was much to celebrate on Family Weekend and Mega Saturday. 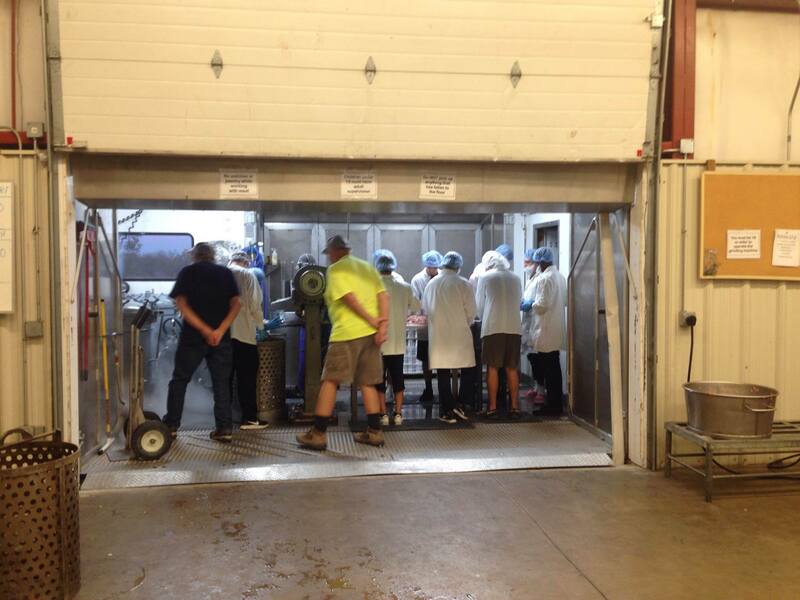 Thanks to everyone who did their part by supporting, working and competing for Bethel this past weekend. Days like yesterday are part of the reason why so many of us believe this college is an amazing place to go to school. 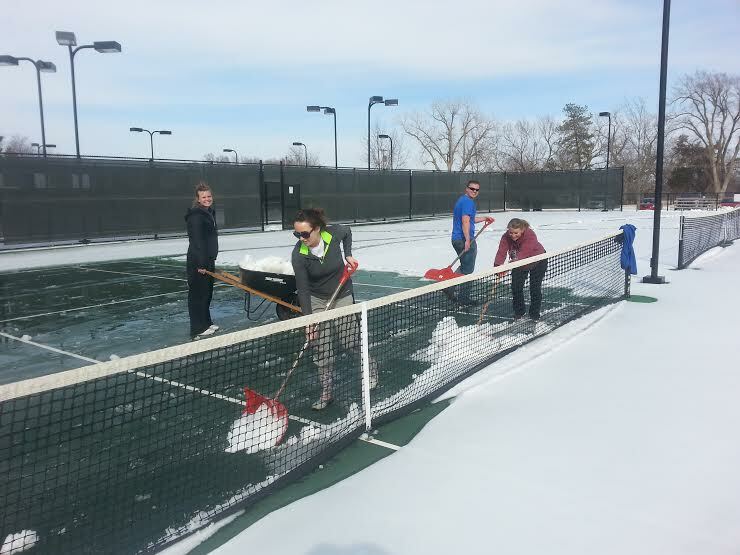 This past weekend were the conference tournaments for the men’s and women’s tennis teams. The men played on Friday at Genesis East and the women played on Saturday indoors at Genesis West. Unfortunately, neither team made it to nationals but that does not discount the great and successful seasons they had. 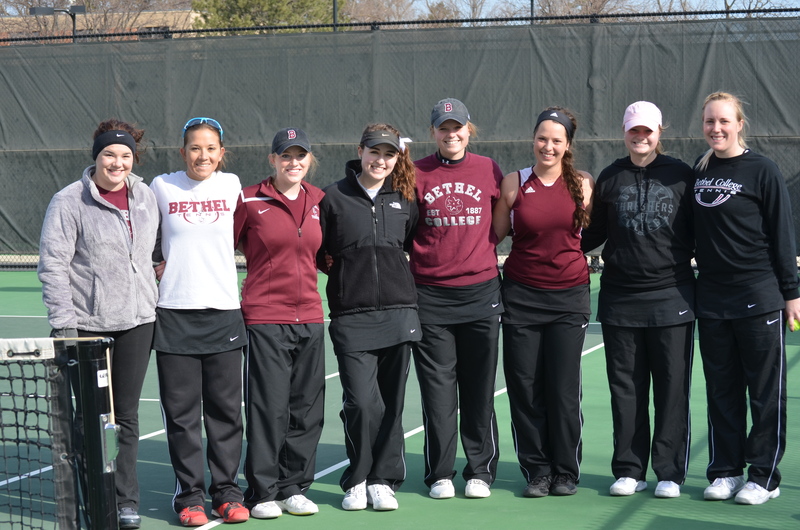 The Bethel men played McPherson in the semis of the conference tournament and lost in a heart-wrenching 4-5 dual. That is as close as they come! They all played so well and gave it all they had, and should look back on this dual with feelings of success because they improved this duals score when comparing it to their in-season score against McPherson 2-7. The Bethel men ended up third in their conference. The women played Ottawa in the semis and dominate 5-0 (in the conference tournament you stop as soon as one team gets five matches). This was a great way to start off the tournament for the women and that took us to the finals with confidence. We then faced McPherson in the finals. Our in season score against them was also 2-7, but we knew there were five matches out there for us to win. Unfortunately, Saturday was not the day for that to happen. 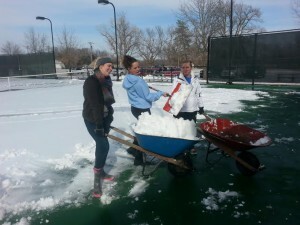 The McPherson team played close to flawless in doubles winning all three matches. This meant that we would have to win 5 out of our 6 singles matches. We had a player tied in a three setter, a match two points away from Bethel winning, and one match just beginning when McPherson got their fifth point. Again, I could not be more proud of the women’s team, we gave it our all and unfortunately it just wasn’t enough on Saturday to get us to the National tournament. 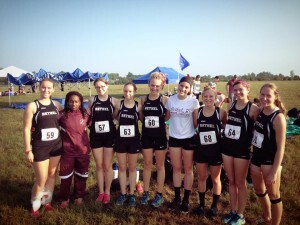 The Bethel women ended up second in their conference. We are also saying goodbye to some great seniors: Stephanie Shogren, Clinton Chlumsky, Wesley Goodrich and Kris Dubach. They have all been great players and great supports to our team throughout their four years and we will miss them greatly. Look for us this fall as we begin our next season, and my last! Like I mentioned in my previous post, this tennis season has been a unique one. Many matches at the beginning of the year were cancelled due to the bad weather. However, the weather is finally cooperating, our season has finally started picking up, and today was the first conference match! 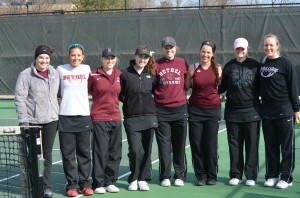 So far, the record for the men’s tennis team is 6-0 and the women’s team is 4-2. After the first conference match against Friends both teams are 1-0 in conference! The men defeated friends 7-2 and the women defeated them 9-0. It is hard to believe that there is only about one more month left of tennis because it feels like it only just started. The remaining matches I have posted below. If you are interested in tennis, we would love for you to come out and support the teams! Who needs a weight room when we’ve got snow to shovel? This tennis season so far has been quite an interesting one. Due to the crazy weather and the lack of indoor facilities nearby, there has not been a lot of time to practice and our first few matches were cancelled. 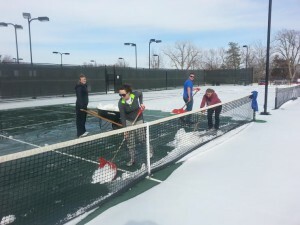 Some of our practices included shoveling snow off the courts so we would be able to practice sooner! Finally we were able to have our first tennis match of the spring season on Friday for men and women against Baker University! It was a very successful and chilly day, with the men winning their dual 8 matches to 1, and the girls winning their’s 7 matches to 2. Although our season got off to a late start, we definitely started it on a great note! This season we also have a lot of home matches and would love to see anyone who is interested come out and support. If you are interested to see our current schedule I will add it below. Working hard! 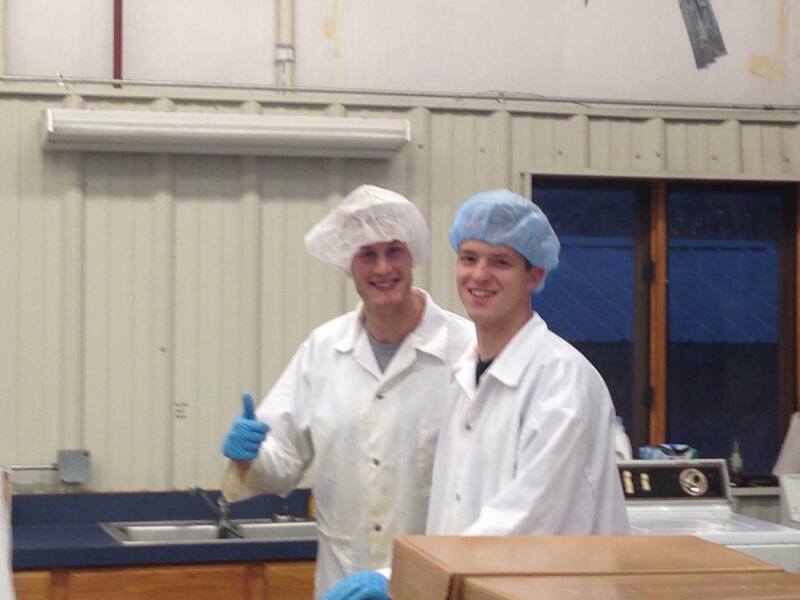 We also had a few extra non-tennis workers who volunteered to help! Fall Break: Where Has The Time Gone? 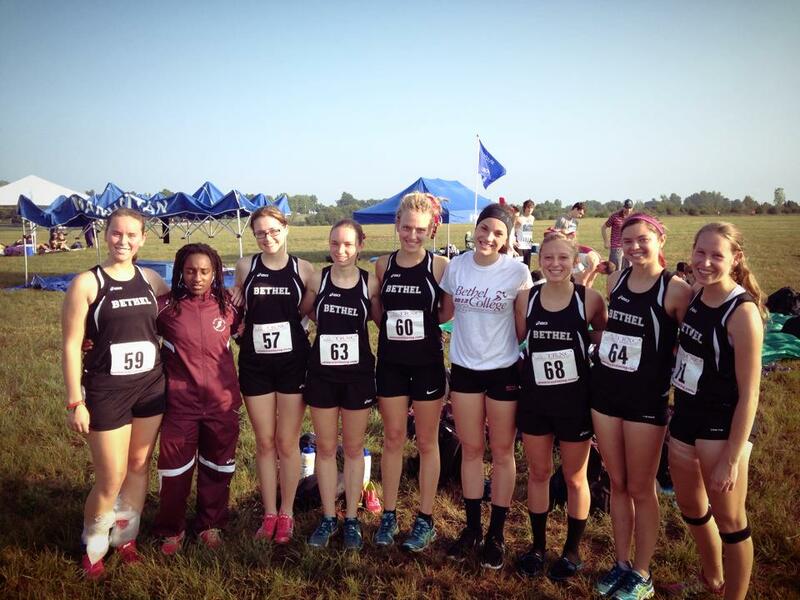 October 14, 2013 by Madelyn Weaver in Athletics, Campus Life, Events | Comments Off on Fall Break: Where Has The Time Gone? I titled my last blog “The Days Go Slow, The Weeks Go Fast…” Again, this couldn’t be more accurate. Not only was I thinking this about Fall Break which has only one more day before school starts up again, but also the fact that our first semester of this school year is already half over! Fun with my mod: Celebrating birthdays, mod movie nights, playing games watching New Girl and Grey’s Anatomy, painting nails and more! Football/Soccer/Volleyball/Softball Games: Getting to watch and support all of the sports who have games going on in the fall! Also since I am a part of the tennis team we have been helping with the football concession stands which is a lot of work but fun as well! Tennis Tournaments: We had a few tennis matches this fall even though our actual season isn’t until the spring. It felt like a pretty successful year and we ended it with the ITA which is our regional individual tournament. 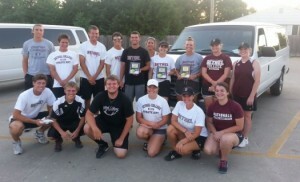 The individual winners of men’s and women’s singles and doubles get to go to nationals. We had several people in both singles and doubles make it to the quarterfinals and one person make it to the semi’s so it was a very successful tournament! Fall Fest: Chilly weather, friends and family, lots of booths, lots of food including more verenike:), trinkets, photo booth, the play, a volleyball game a football game and more! Fall colors: The leaves changing to beautiful oranges, reds and yellows that are worthy of many pictures. Bethel Basketball: Watching and cheering on our Men’s and Women’s teams this year! KU Basketball: Every year during KU basketball season I go home to Hesston watch as many of the games as I can with my parents, sister and Weaver uncles, aunts, cousins and grandparents. I also bring whoever of my friends and modmates want to come as well! Thanksgiving Break: Another break from school, delicious food and good quality time with my family! Christmas Break: The biggest break from schoolwork:), family, friends, “Christmas goodies” (chocolates, baked goods), hot chocolate, snow, snowmen, presents, lots of family time! Interterm: Europe: The Concert Choir gets to go on a trip to Europe including Poland, Germany and the Netherlands! We will be gone for three weeks, singing and sightseeing and I can’t wait! Top 5 reasons to get excited for Lady Thresher basketball! October 2, 2013 by Samantha Wilkerson in Athletics | Comments Off on Top 5 reasons to get excited for Lady Thresher basketball! This past Monday was the first day of basketball practice. This means our first game will be here before you know it (November 1) and if that’s not reason enough to be excited, here are several others. 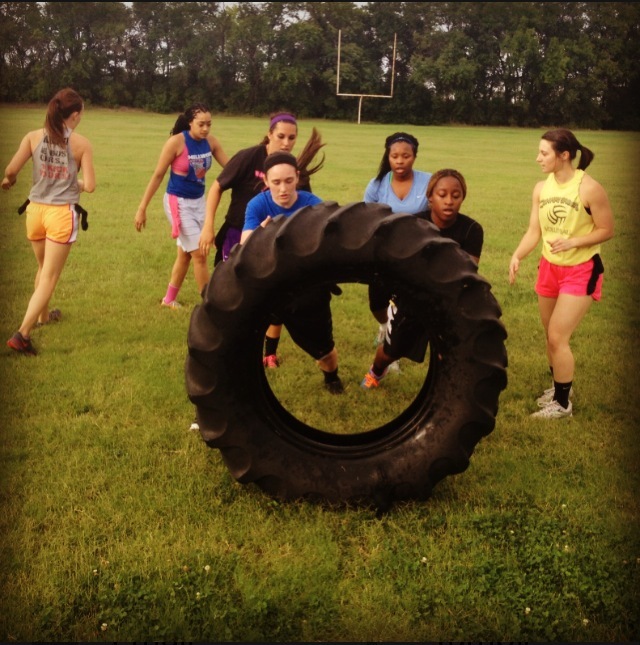 Members of the women’s basketball team compete in a tractor tire flipping contest. 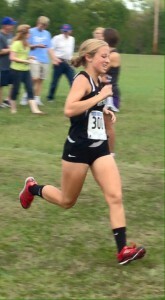 Photo by Coach Gunderson. 1. We’ve been conditioning for over a month, so we’re feeling bigger, faster and stronger! If you doubt that, check out the picture of us flipping tractor tires. 2. This year’s team has a new motto: “All In” and we plan to stick to it until the end of the season. We value each other and know we’ll have to all work together to win in our conference. 3. We’ve been working harder than ever, with a new strength and conditioning coach, Brett Gunderson and a new assistant coach, Eddie Henderson, we’ve been pushed to improve everyday. 4. Our team this year includes several talented freshmen and a few transfers that are great additions. We also have 9 returners from last season, that will provide experience. 5. Not only have we been focusing on conditioning, but we’ve also been growing as a team. Fridays during preseason conditioning were our “competition days” and one time we got to play flag football. We are learning to work together on and off the court and getting to know each other. 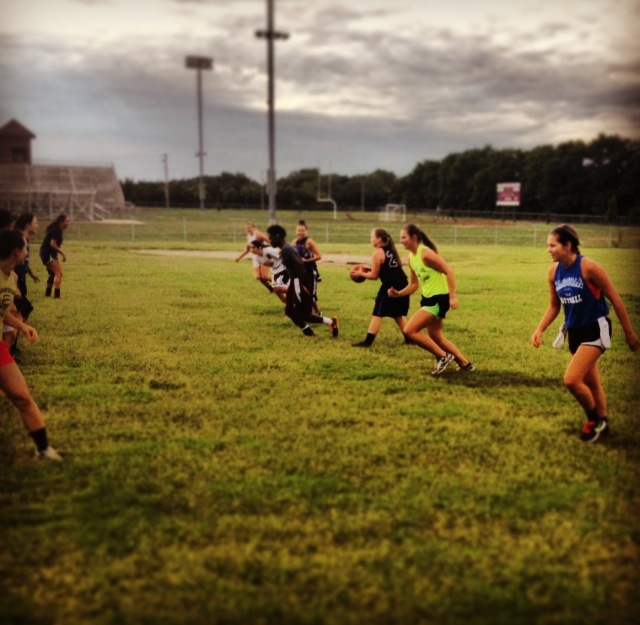 Playing flag football on “competition Friday” during preseason conditioning. Photo by Coach Gunderson. These are just the top 5 reasons, but there are many more that get me pumped for the upcoming season. As a senior guard, this is my last year playing collegiate basketball and I plan on making it the most memorable and successful one yet. I love this team and I look forward to finishing my basketball career playing with them and you should be thrilled to watch us come November! October 1, 2013 by Mallory Black in Athletics, Campus Life | Comments Off on Fall Fest Craziness!!!!! It’s that time of year, where apparently, everyone at Bethel goes into mass craziness. With me being new to Bethel, this is a new experience that I am excited to see unfold. I have heard from several different sources around campus, that this week is the busiest, and craziest, but also the funnest and will be one of the best out of the year. Quite the oxymoron there huh? Of the clubs and organizations that I am involved in on campus, we have spent about a month planning what we are going to do at Fall Fest. If every club and organization has done the same, I’m sure the results are going to be phenomenal! I honestly can’t wait to walk around to various booths to see what others have put together for their display. That is, given I have enough time between my other Fall Fest obligations and responsibilities. As far as what my most favorite event is, I’m going to have to say the football game. I say that, because I love watching football,and cheering for my team (Which is OBVIOUSLY Bethel) but also because I don’t fully know what to expect or anticipate at Fall Fest. But that’s half of the excitement…..not knowing. So far, every other Bethel tradition that I have experienced, has been absolutely wonderful, and I am looking forward to Fall Fest….craziness included!